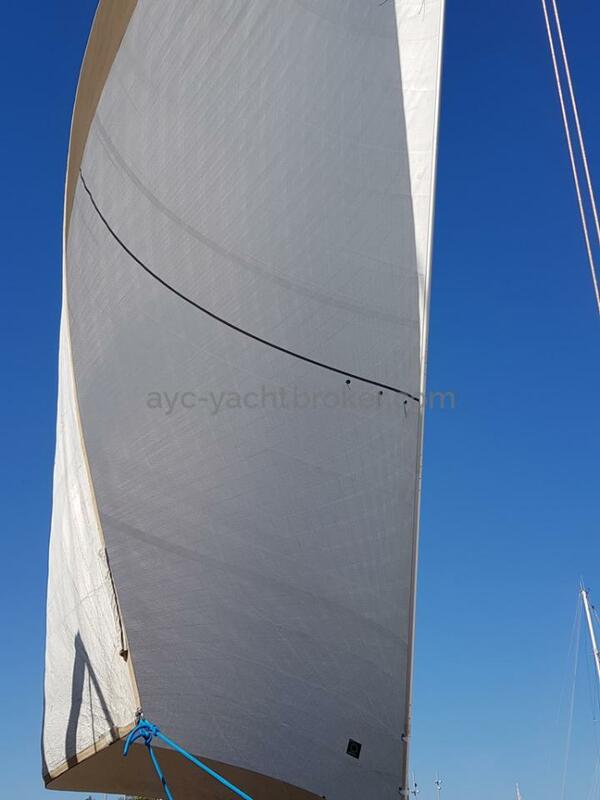 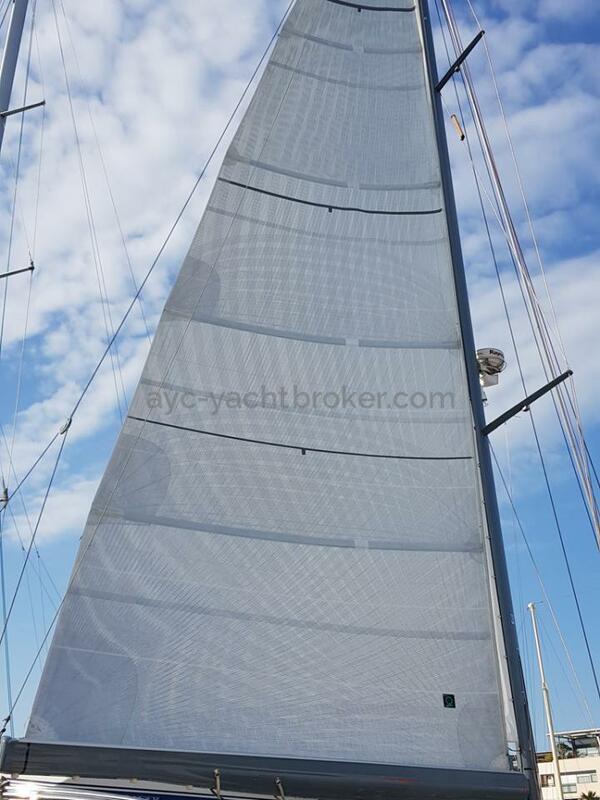 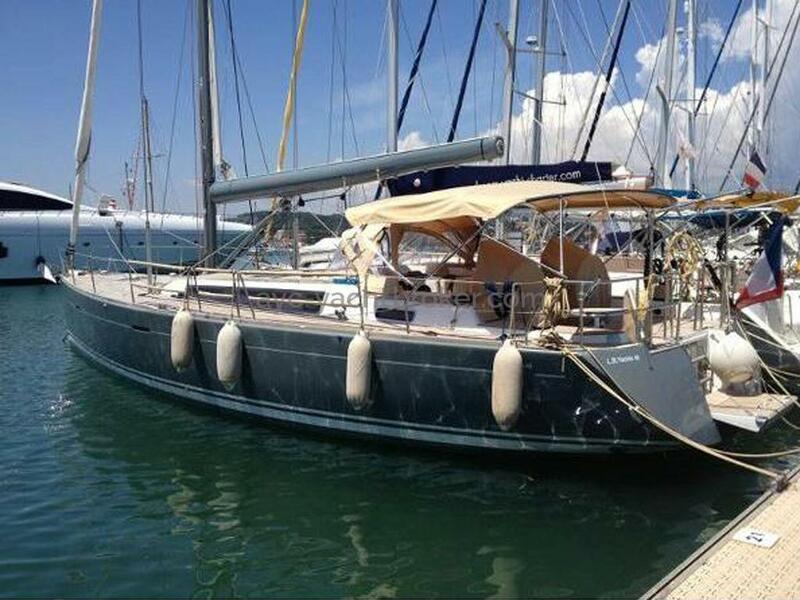 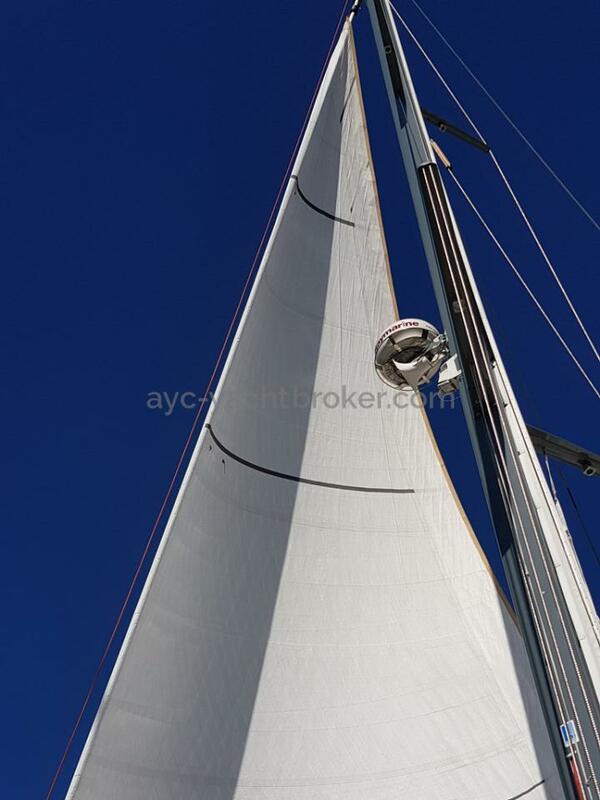 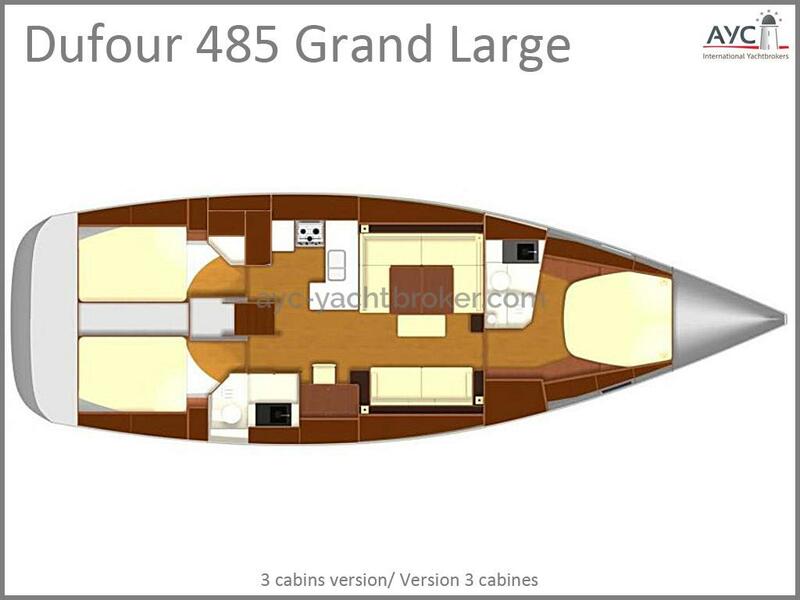 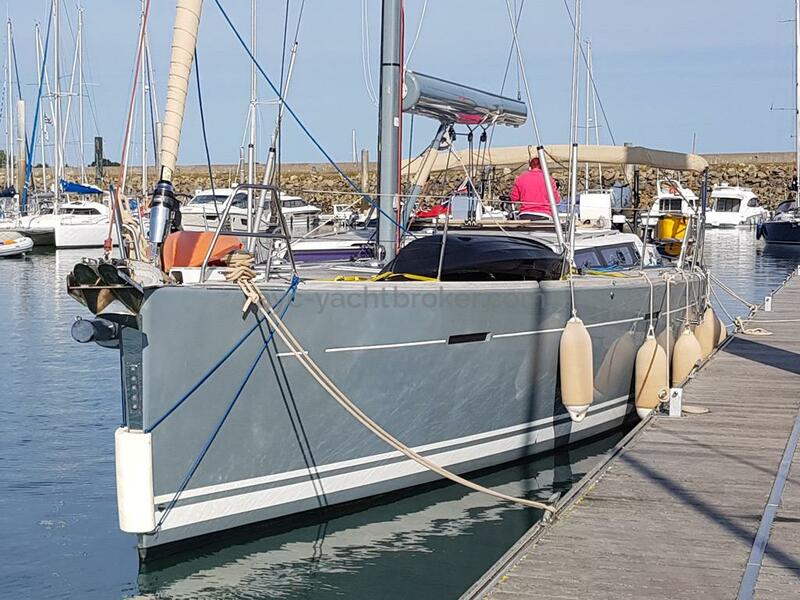 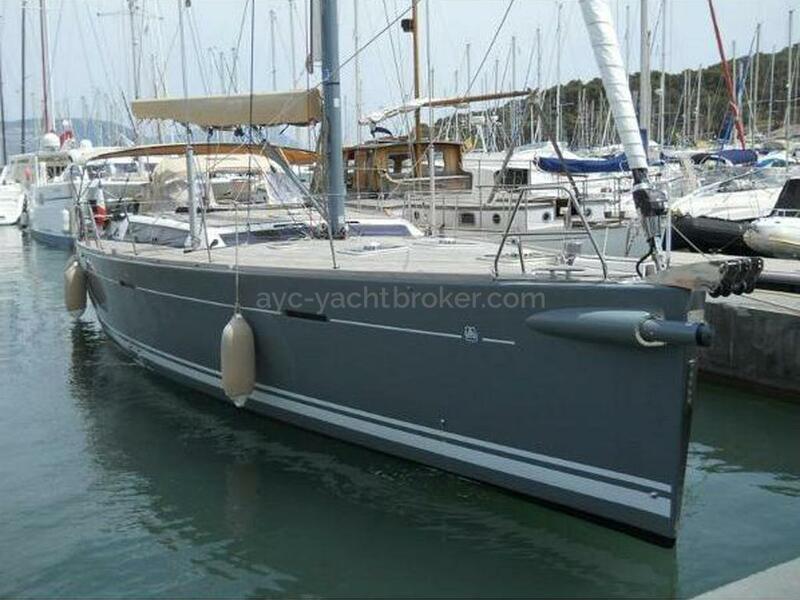 The first owner decided to have a exceptionnal Dufour 485 Grand Large built to be sailed with a (very) short handed crew and even alone. 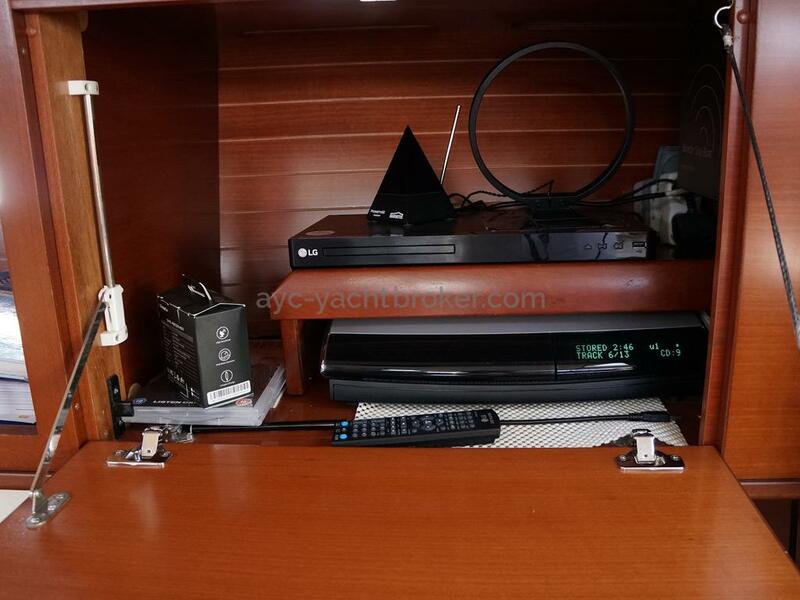 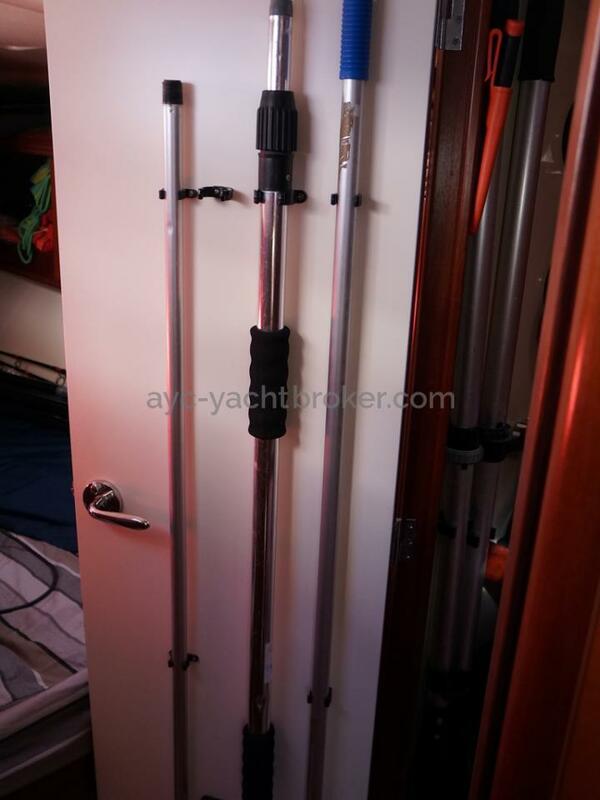 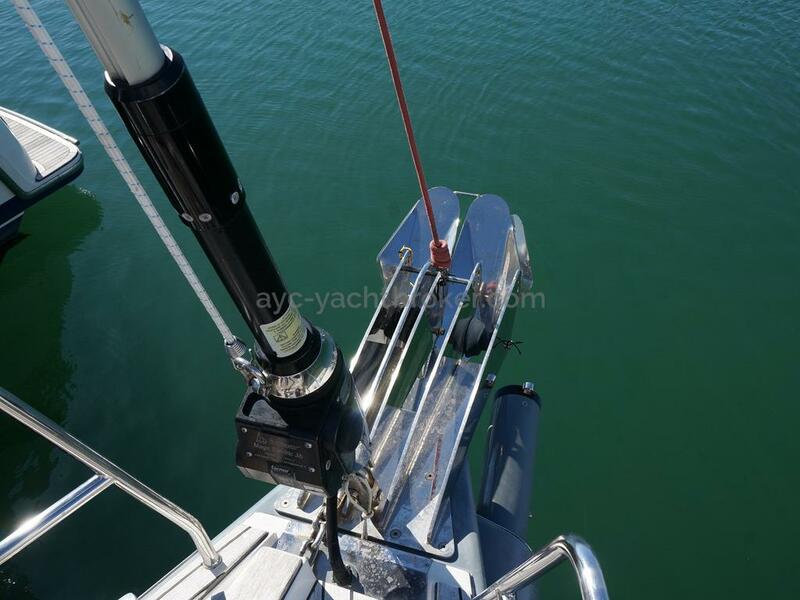 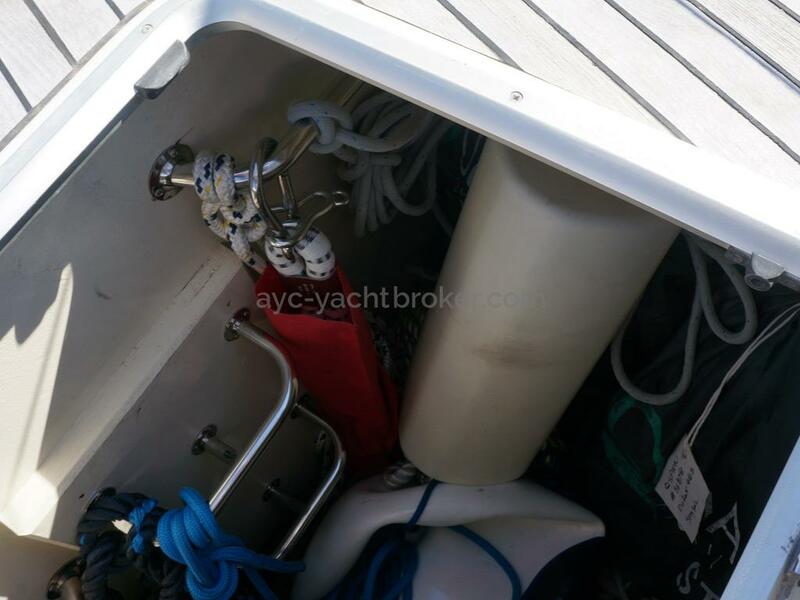 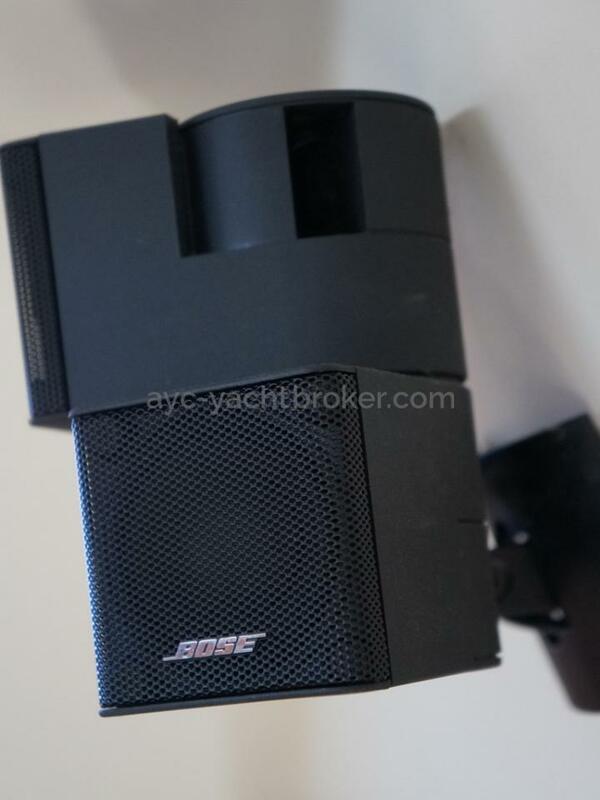 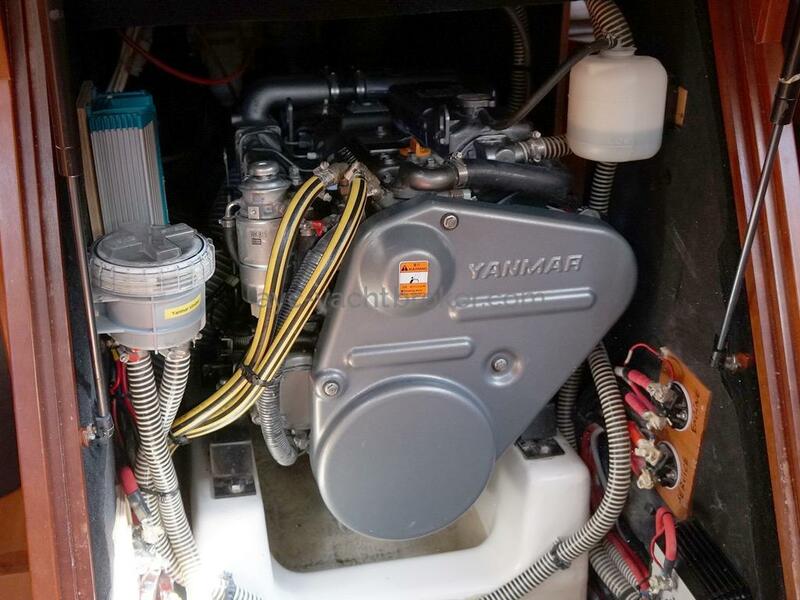 6 electric winches with remote controls at each steering position, a complete electronics set + engine and bowthruster at each tailormade steering wheel pod, electric genoa furler, polyester furler boom with carbon fiber mandrel... 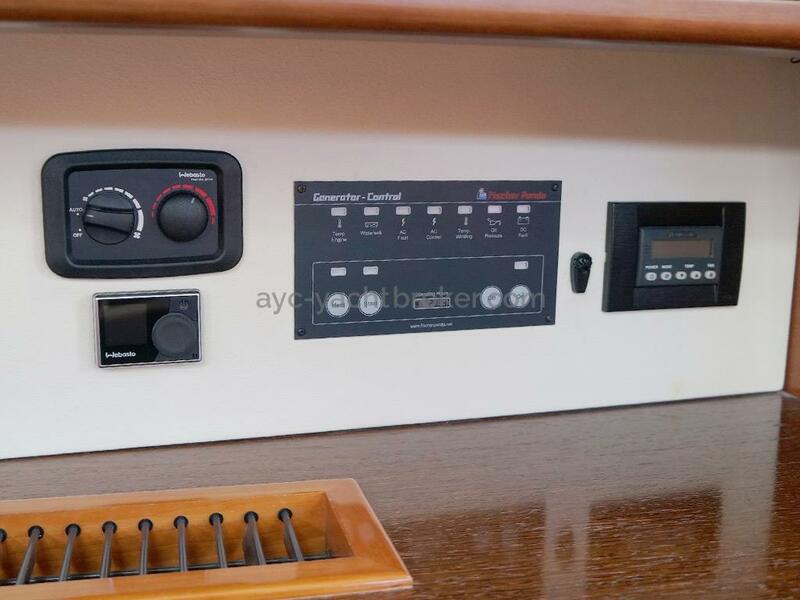 But the comfort elements were also important, so a watermaker, a washing machine, a genset, a Bose sound system and additional fridge and tanks were added. 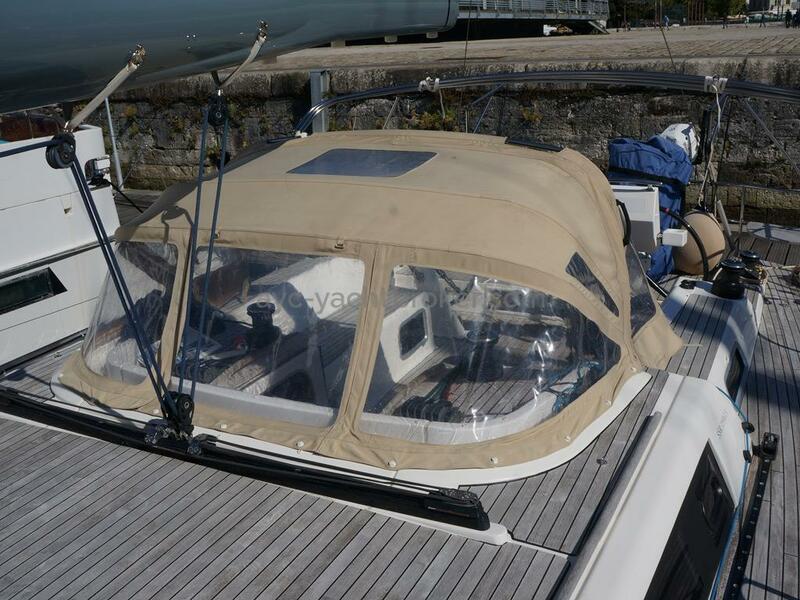 If you also chose the deep draught, carbon fiber Exit steering wheels and Quantum Fusion M Cruise set of sails, you get an impressively comfortable fast cruiser. 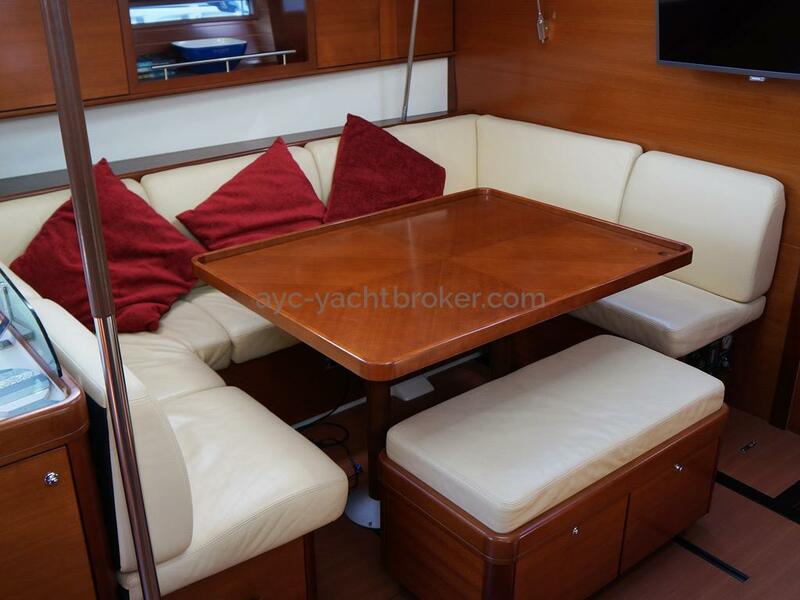 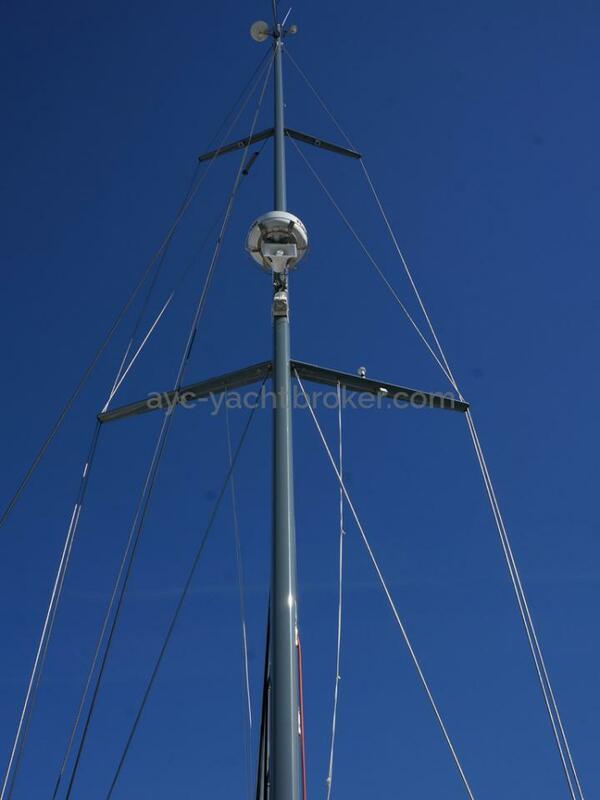 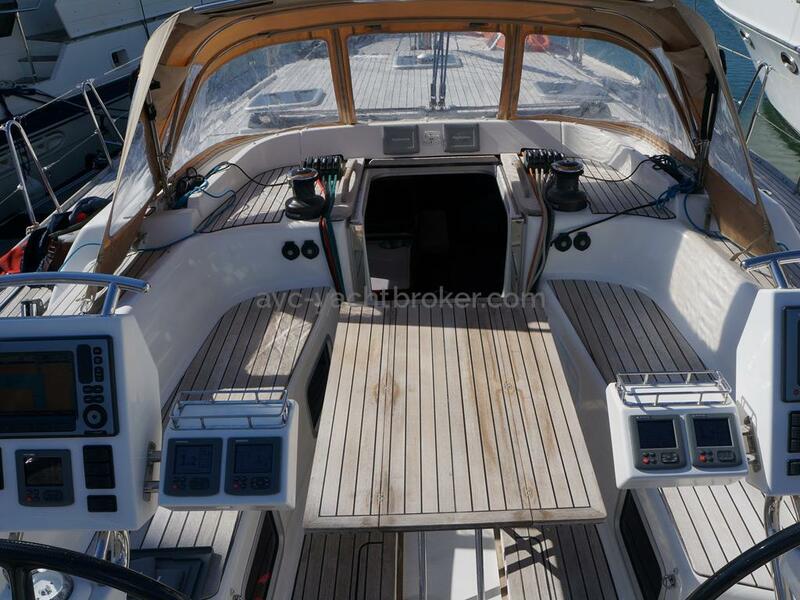 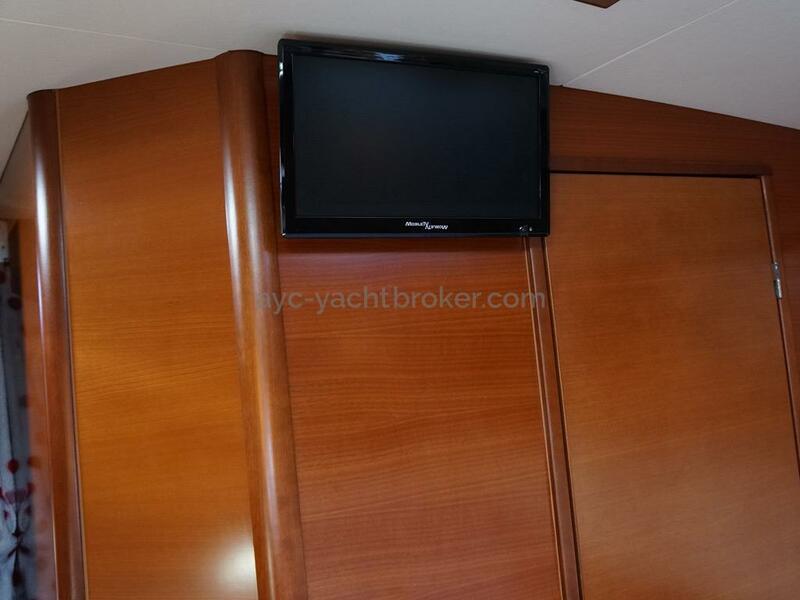 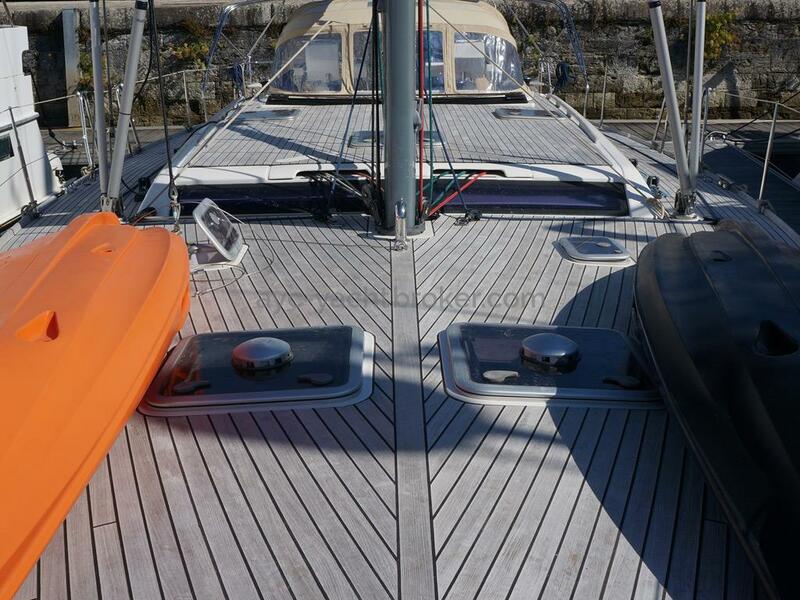 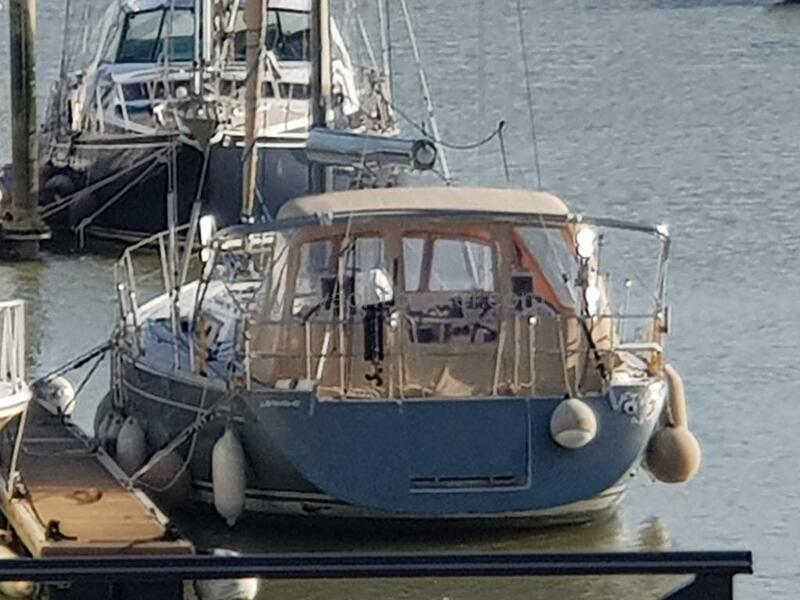 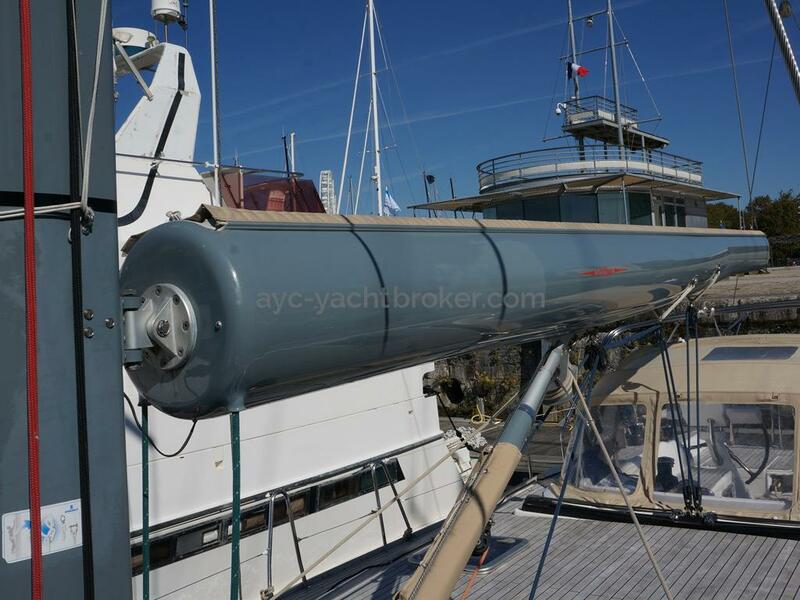 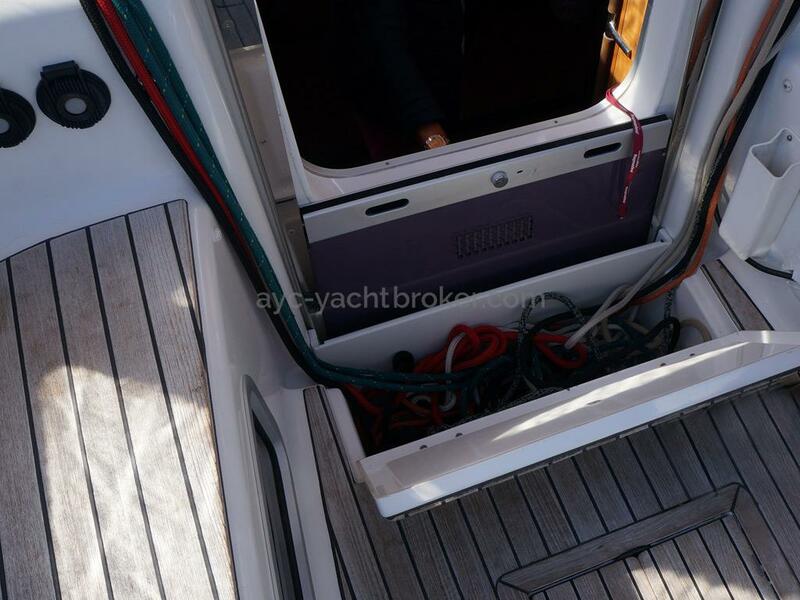 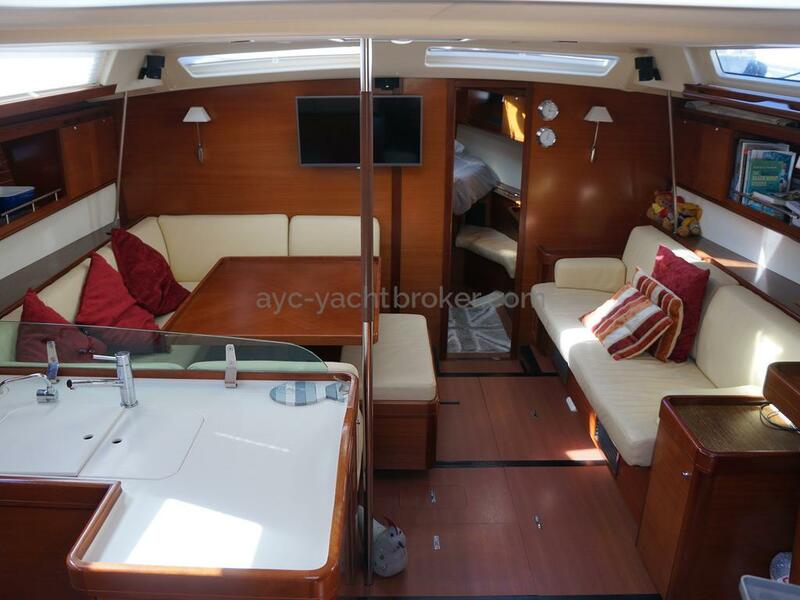 Having spent some time looking at various yachts in the 45-50ft range, we decided that what was really important are safe wide level decks, electric winches and ease of sailing and docking with one or two persons. 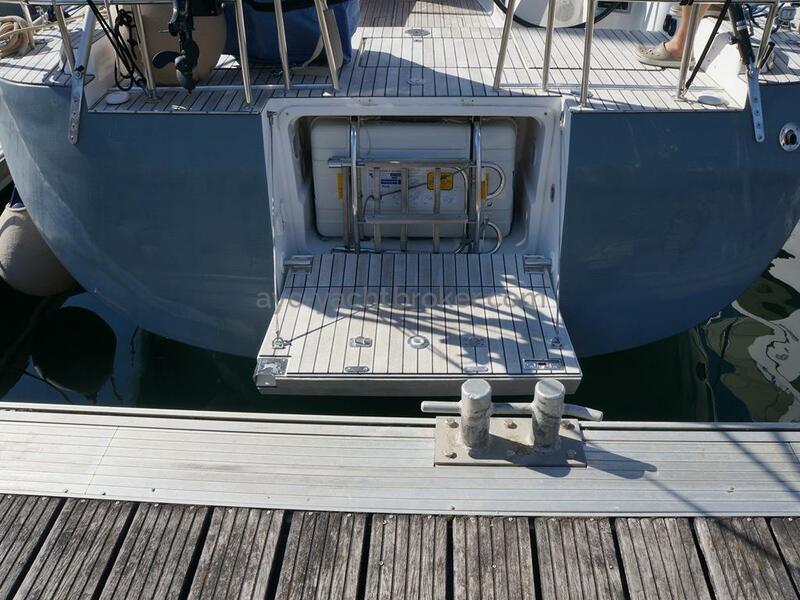 Access to the dinghy or swimming is made easy with a drop down transom gate, with swimming ladder. 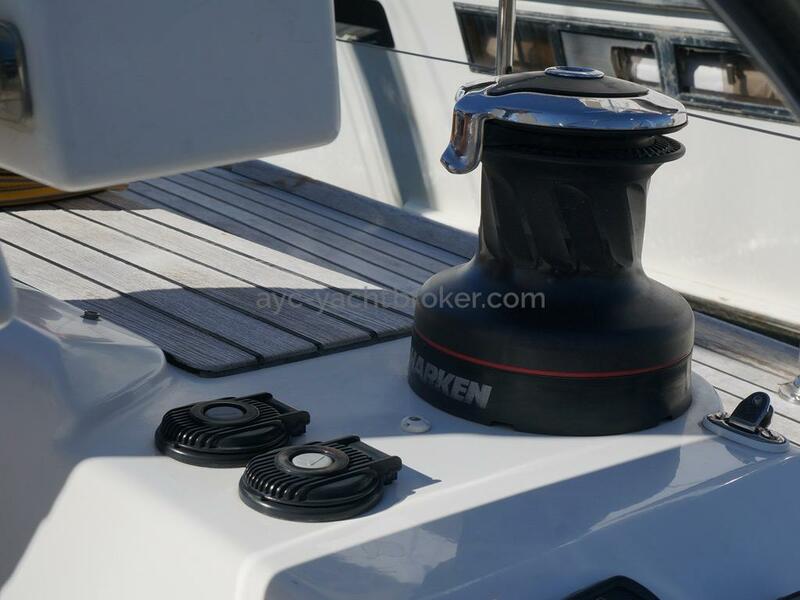 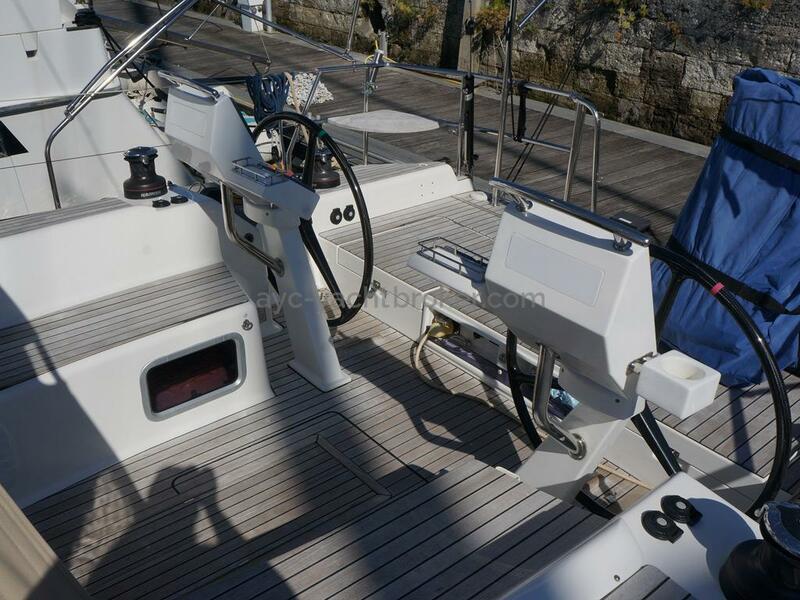 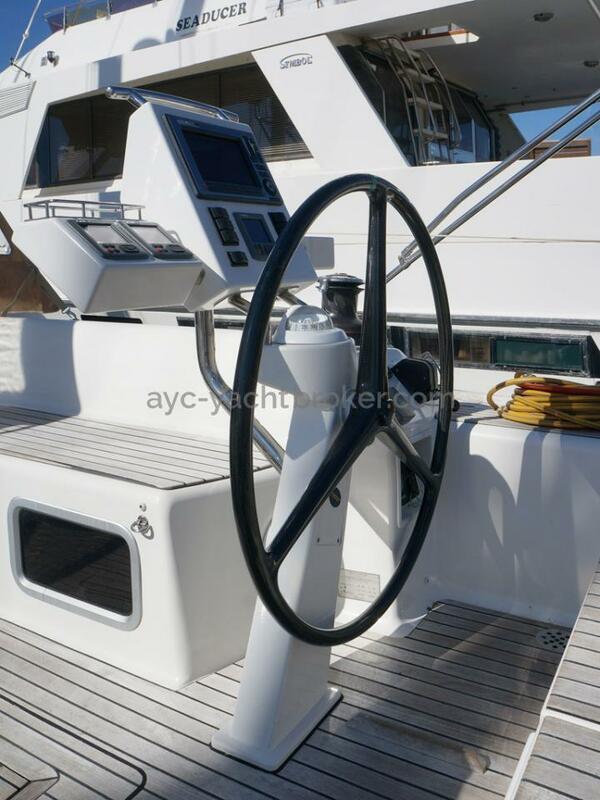 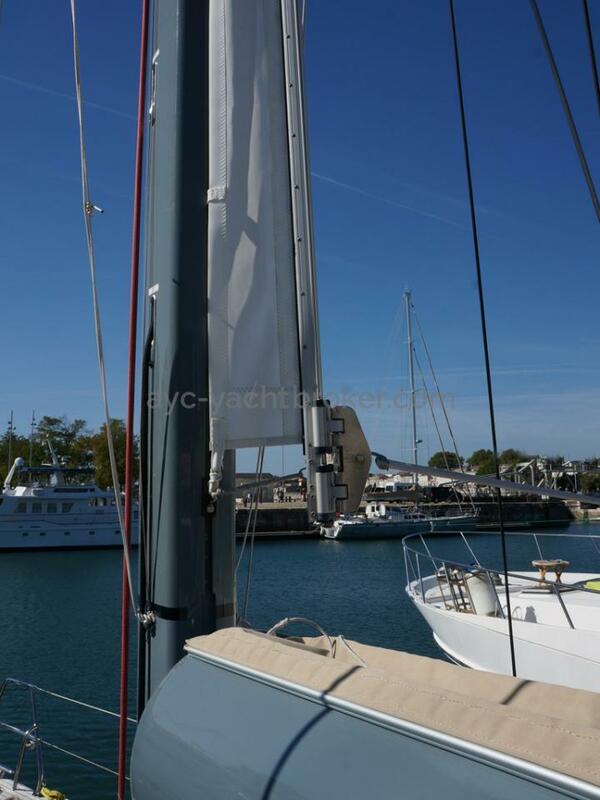 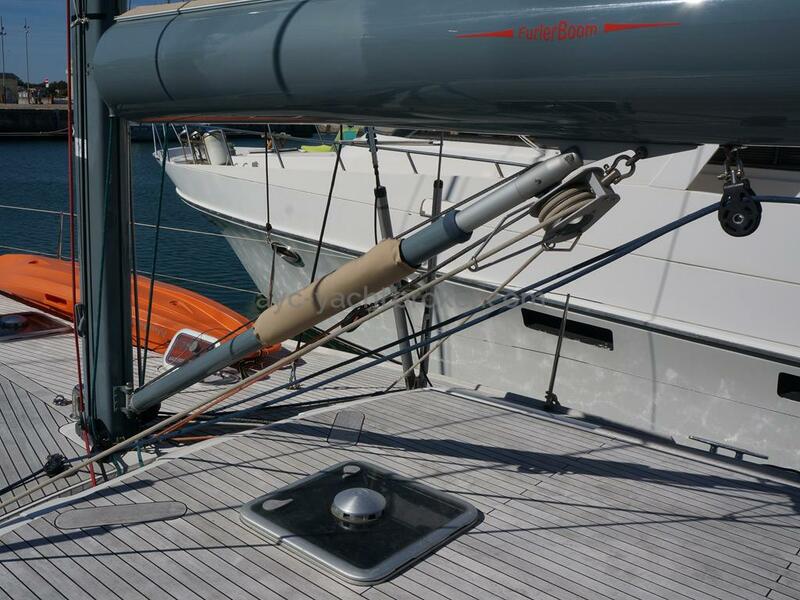 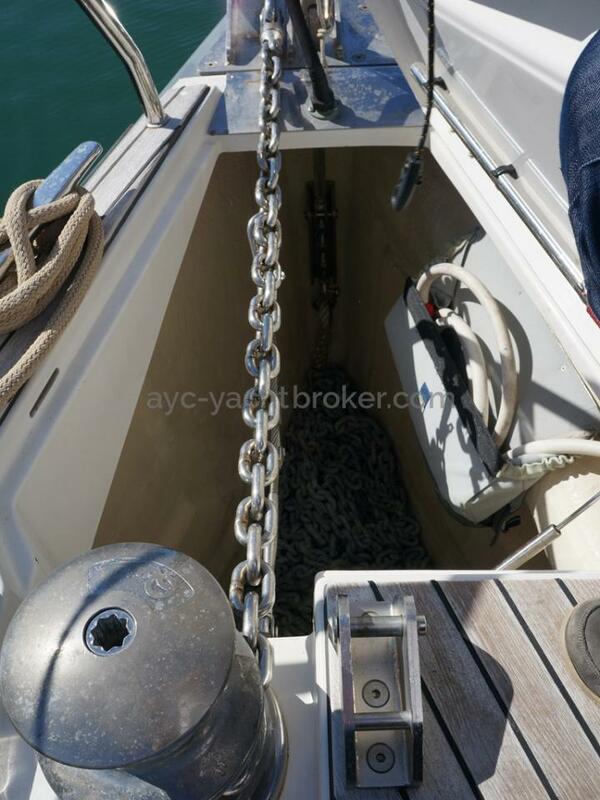 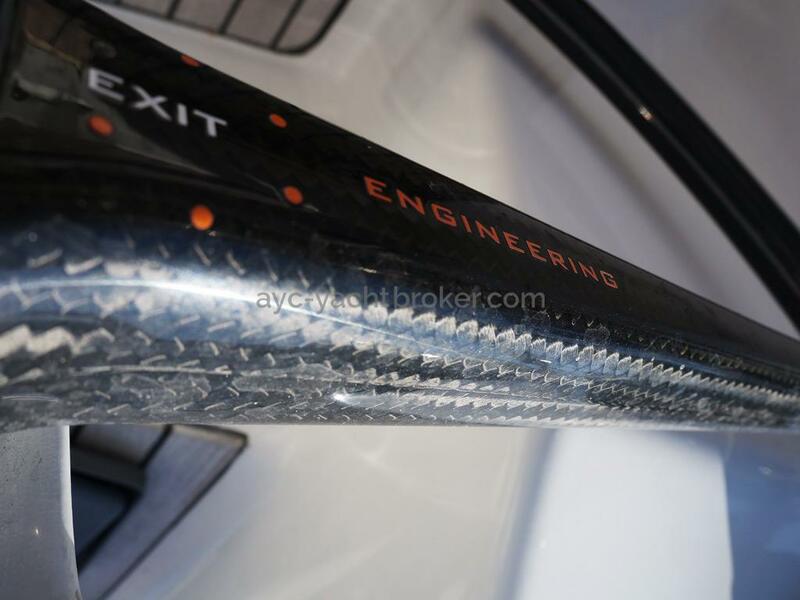 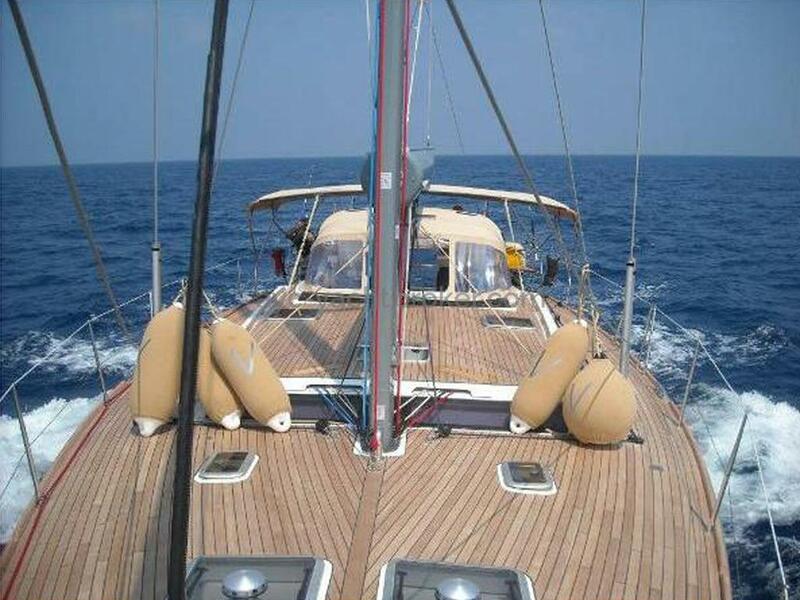 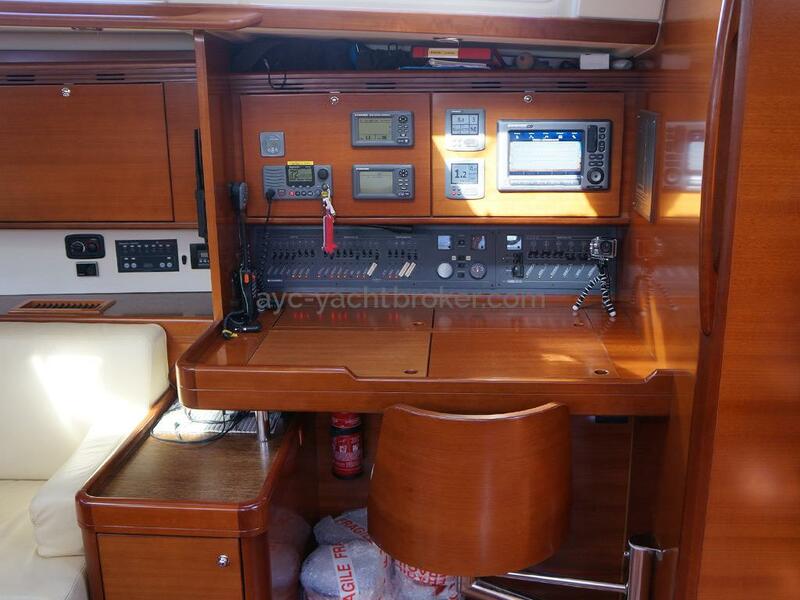 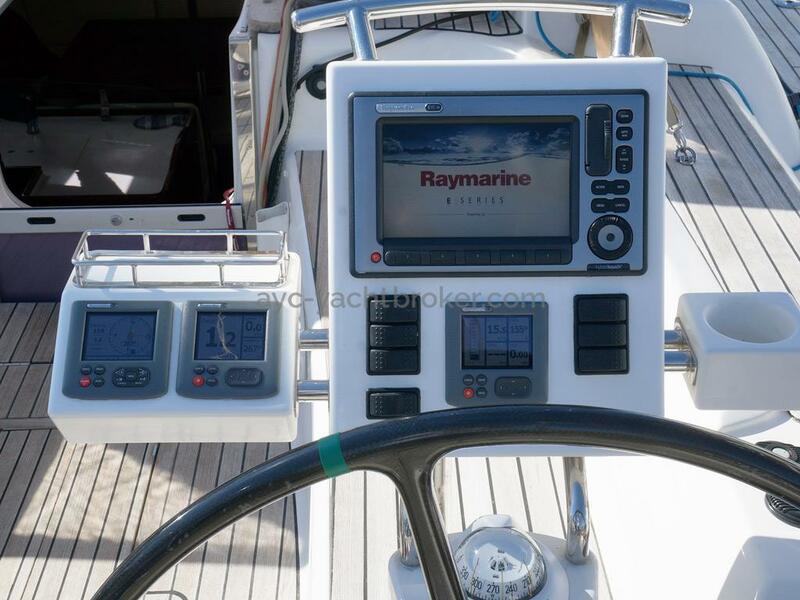 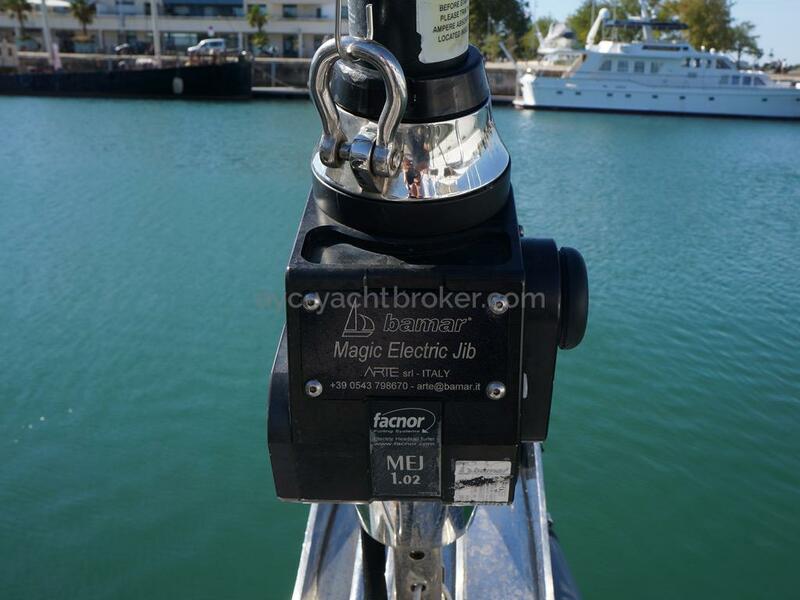 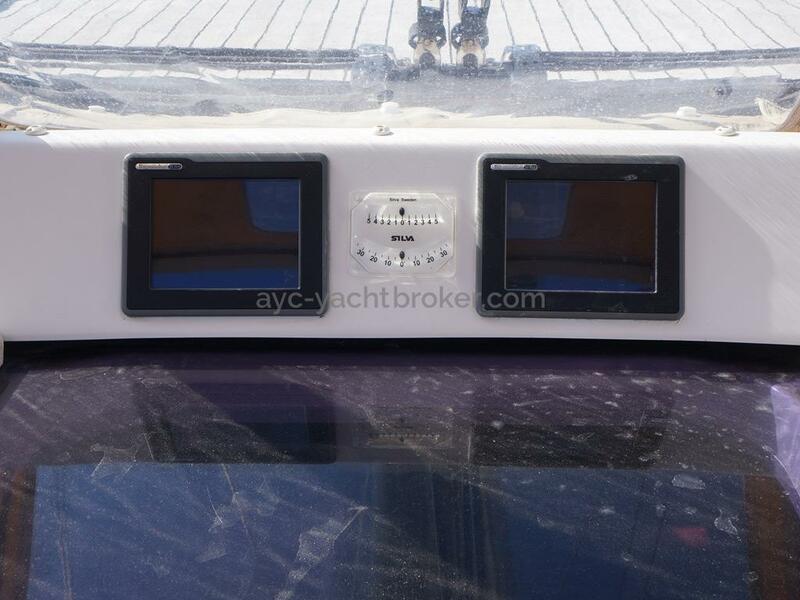 Anchoring is also made simple with additional electric controller/chain counter at the starboard helm position. 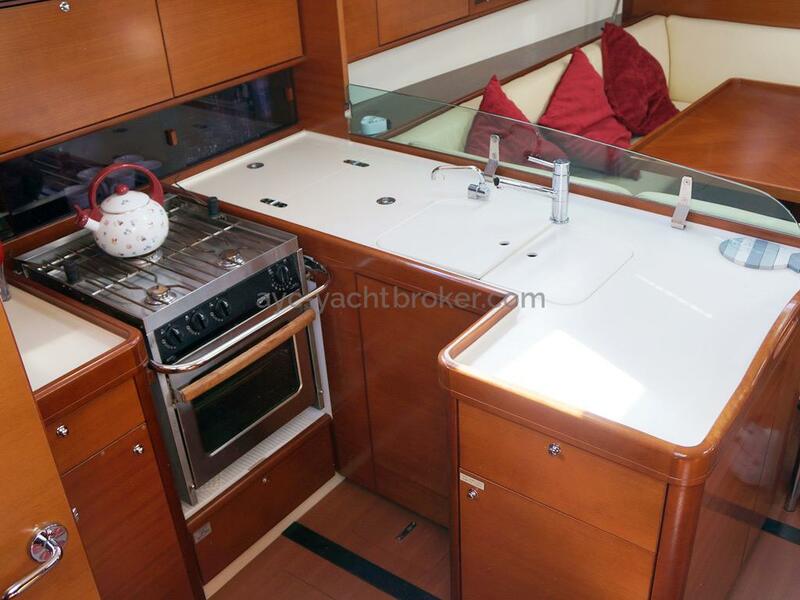 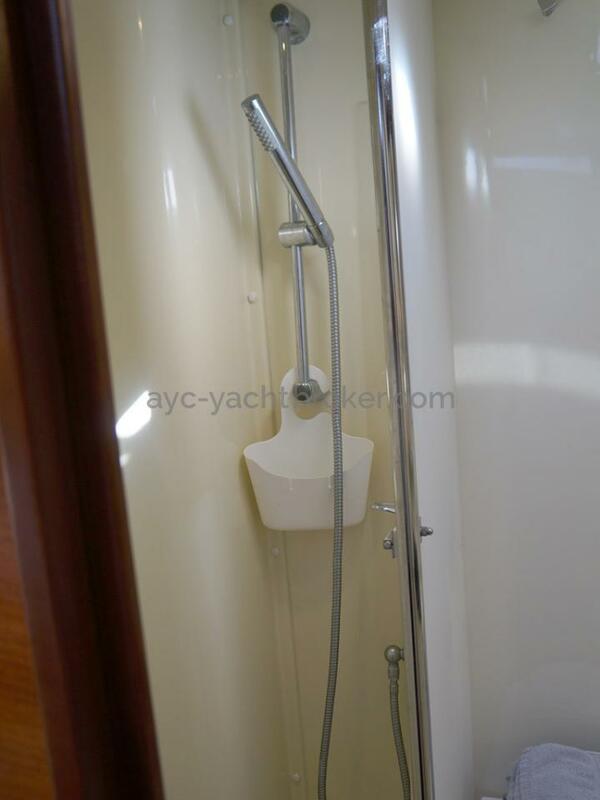 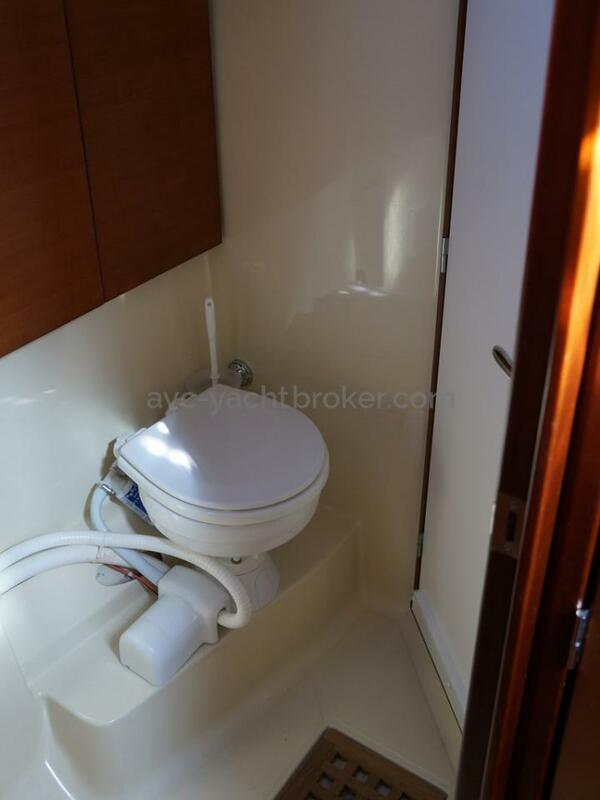 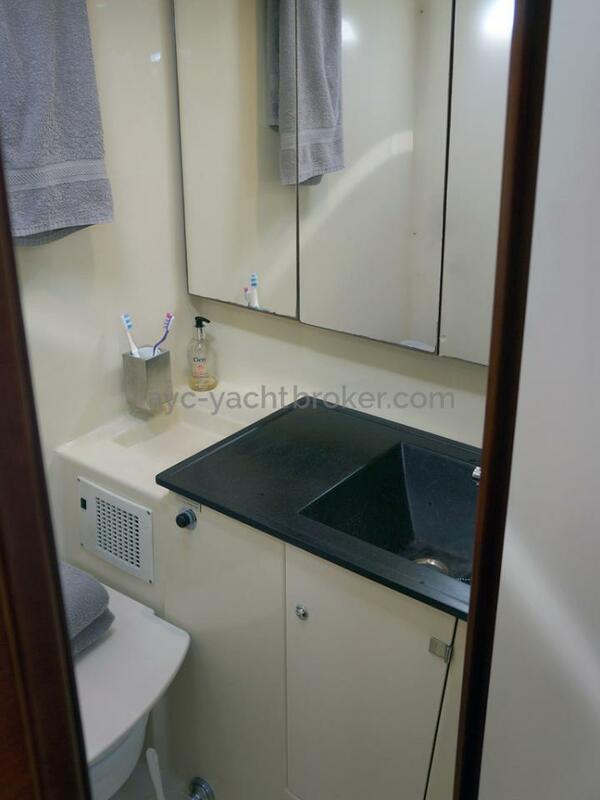 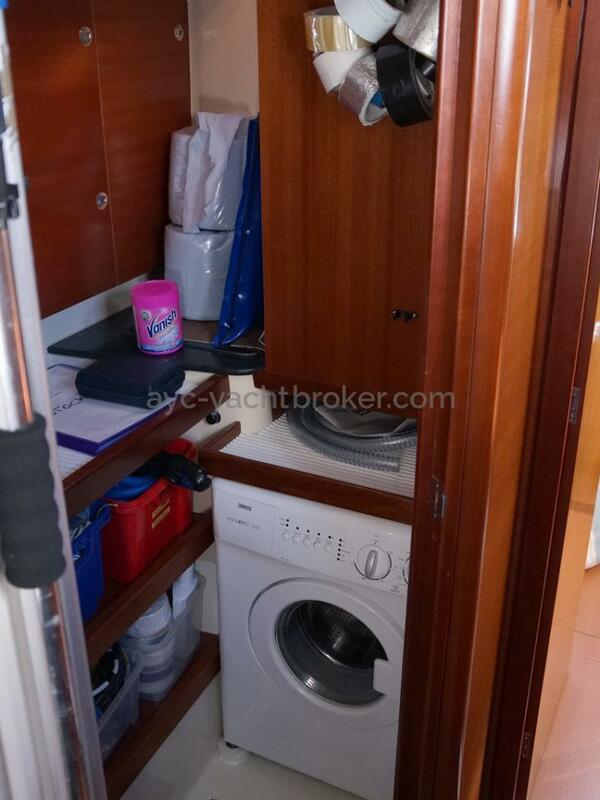 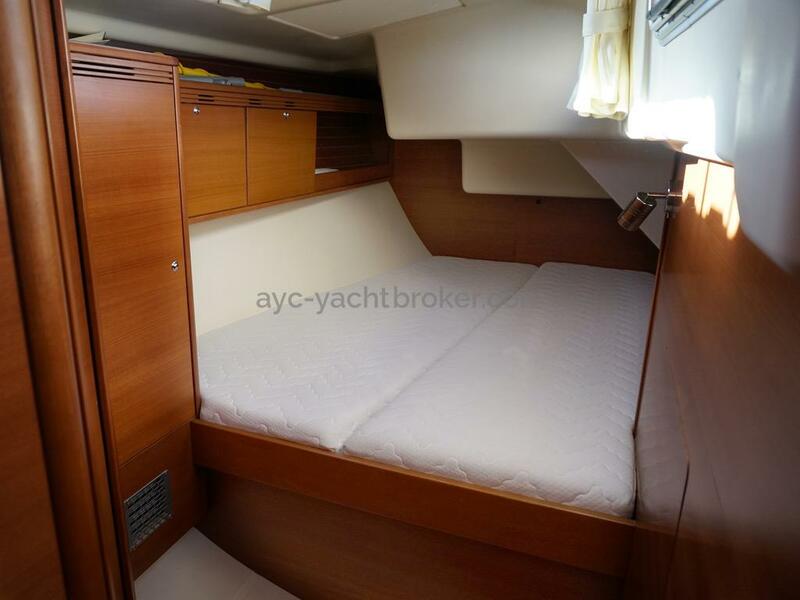 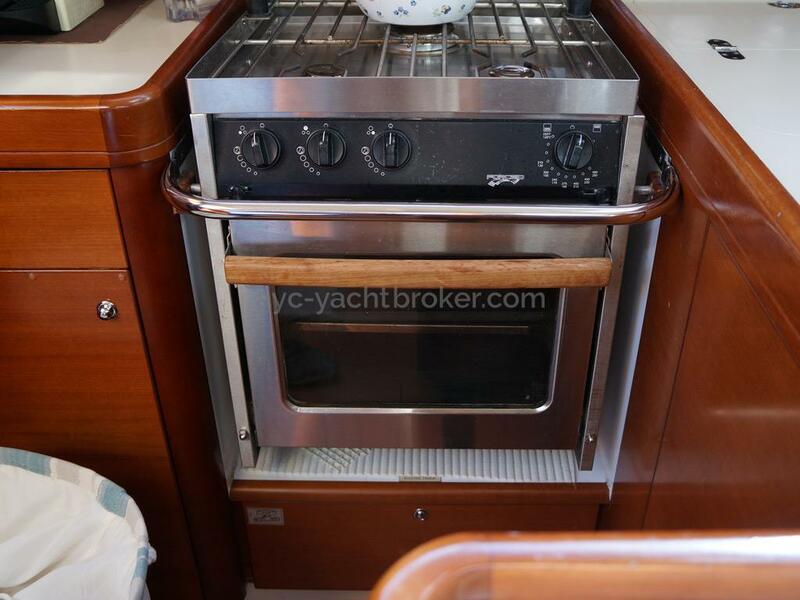 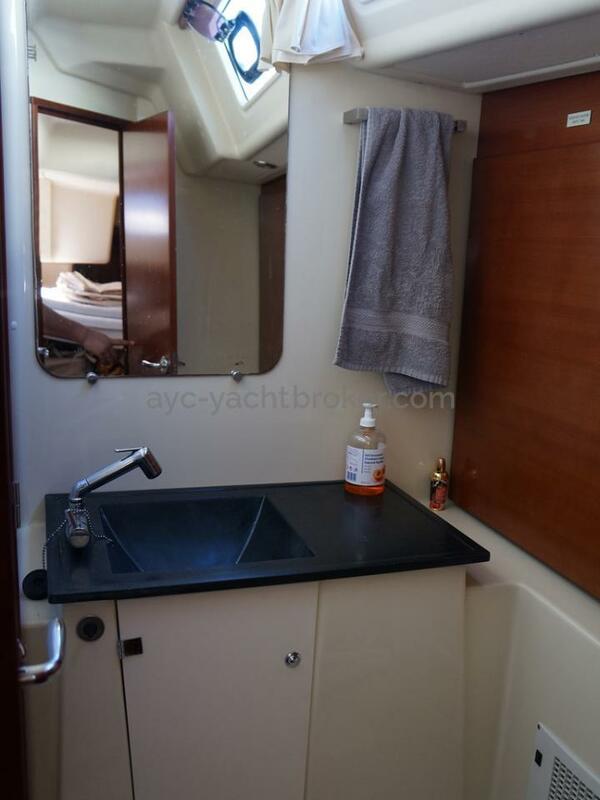 In addition to all the above, comfort and space down below decks is great with a very large saloon area , three double cabins, two electric heads, two showers and a very well laid out galley with two fridges and one freezer and to really make life easy on board a washing machine! 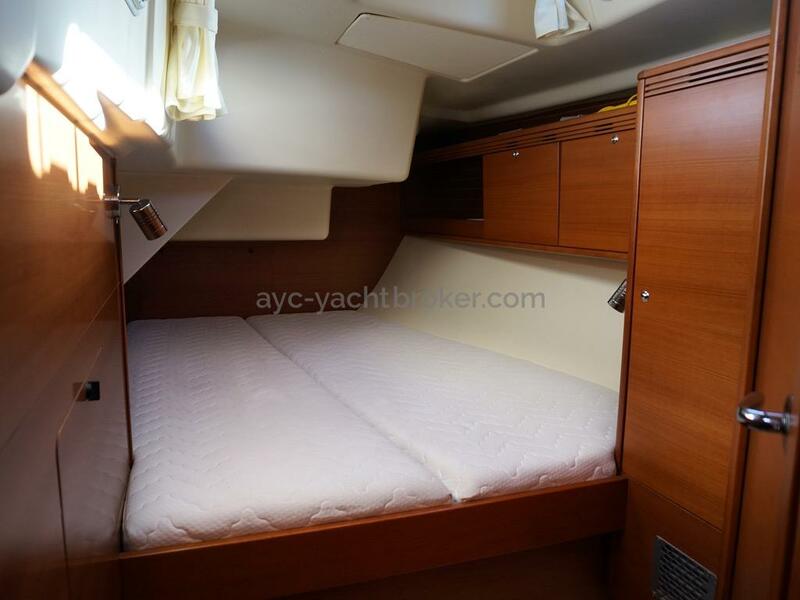 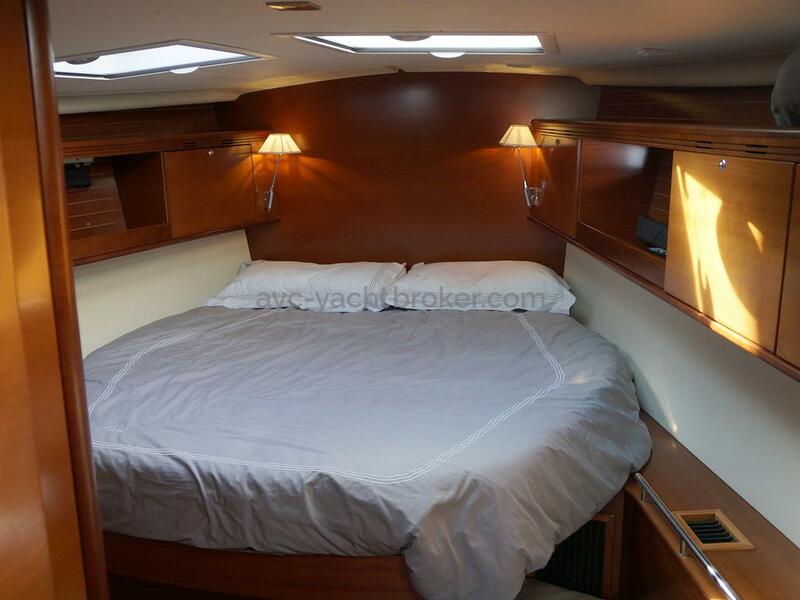 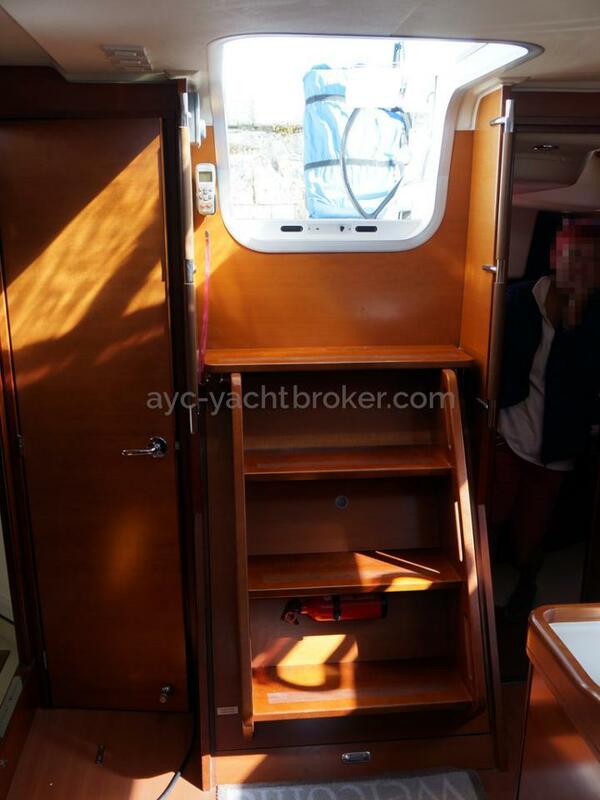 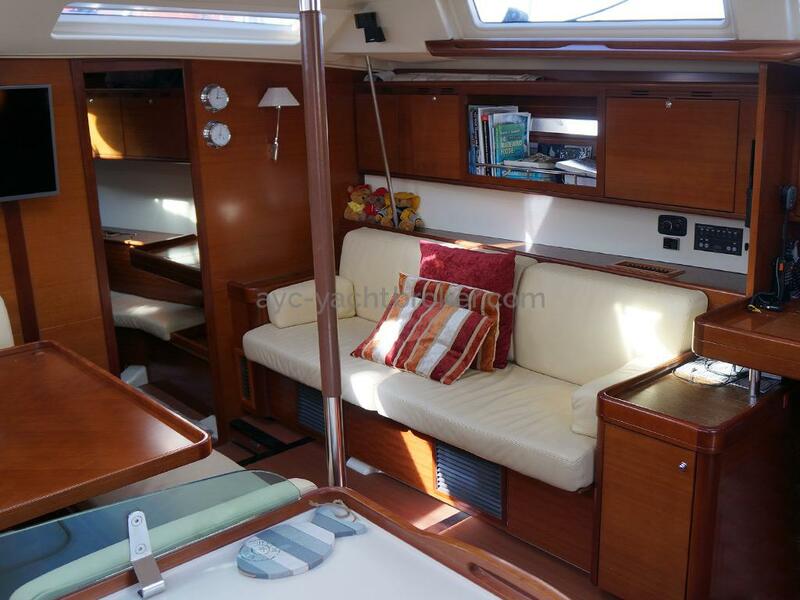 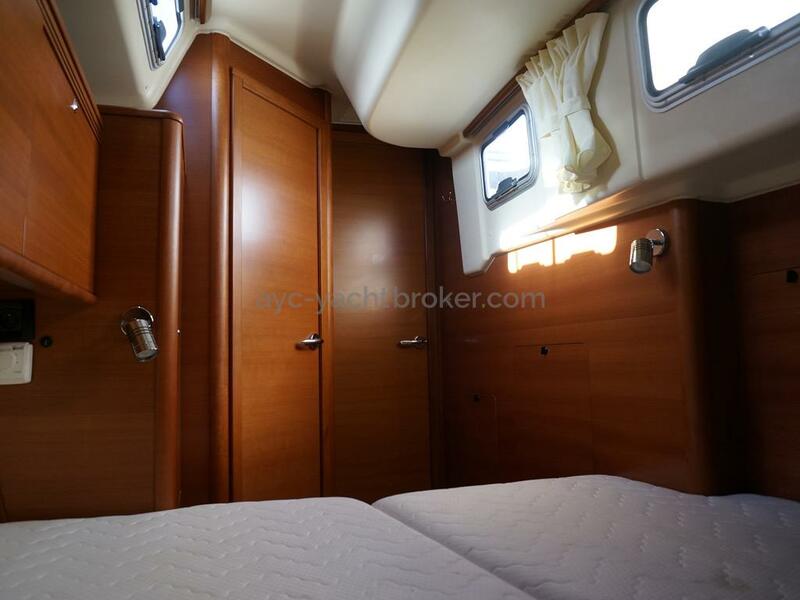 Throughout the boat there is good head room throughout. 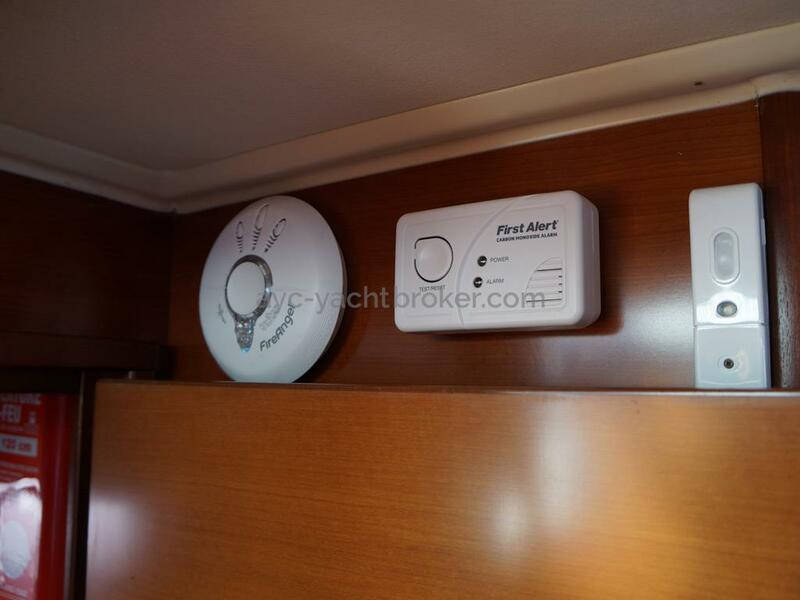 FIVE does all of the above and more very well.